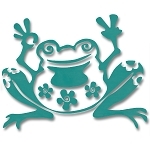 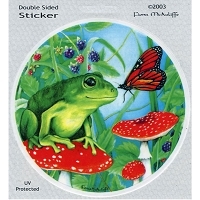 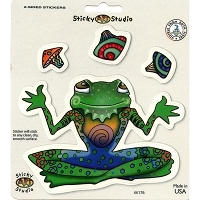 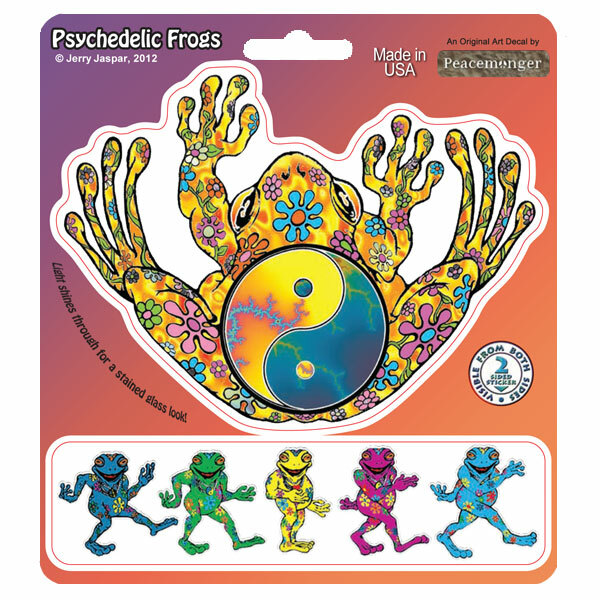 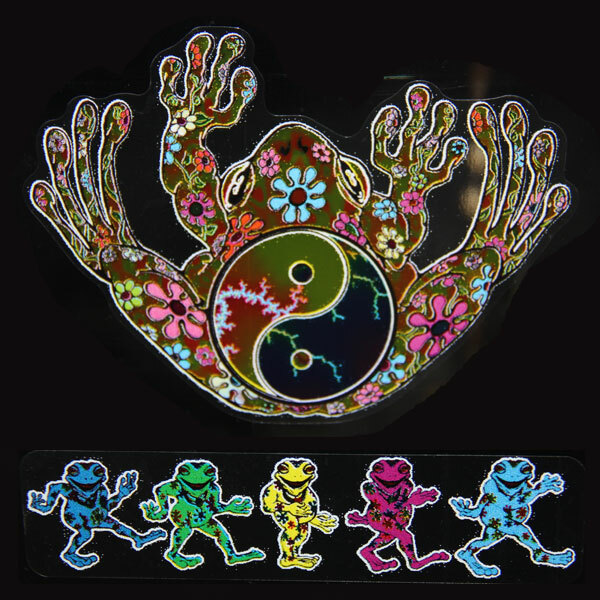 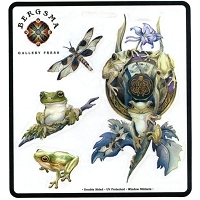 This two sided Art Decal features the frog with a psychedelic yin yang, flowers fractal patterns. 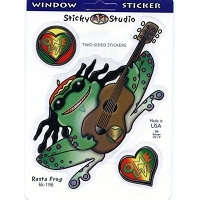 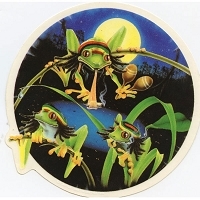 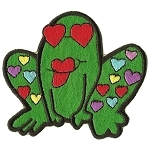 You also get a bonus strip of happy dancing frogs with hippie flower tattoos! 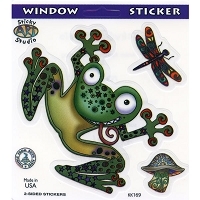 Semi-transparent - Visible from both sides of glass!